In a previous post, Are We On Track?, I revisited the central prediction of the first edition of Disrupting Class (2008), which was that the growth in computer-based delivery of education will accelerate swiftly until, by 2019, half of all high school classes will be taught over the Internet. This argument is laid out on pp. 98-100 of the hard cover edition (in Chapter 4 “Disruptively Deploying Computers”). For those without access to the original text, the Summer 2008 edition (Vol. 8, No. 3) of Education Next included an article “How Do We Transform Our Schools?” by Clayton M. Christensen and Michael B. Horn in which the authors directly make their case. The Education Next article is a summary of the much longer book, but does repeat some text verbatim. I have seen a few questions about this prediction and whether my characterization of the prediction is fair or accurate. I will offer some further thoughts in the form of a Q & A. What would the K-12 sector look like if we were on track for the prediction to come true? Public high school enrollment (grades 9-12) is projected to be over 15 million students by the Fall of 2018 (per NCES). Let us assume that enrollment per high school grade is equal (i.e., 3.75 million per high school grade). While this varies from district to district, let us presume that high school students take 6 year-long academic classes per year. Let us also presume that the average high school course duration is 1 hour per day and the average school year is 180 days in length. Let us further conservatively presume an educator (live in-person) is required to teach 6 high school classes per day every day and that there are 30 students per class. The national total of all high school course enrollments will be 90 million (15M students x 6 courses per year). Total high school instructional time will be over 16 billion hours per year (15M students x 180 instructional days x 6 hour long courses per day). Total high school instructional time per grade will be about 4 billion hours per year. To deliver this amount of live in-person instruction, it will conservatively require 500,000 FTE teachers (90M courses / 6 courses per teacher / 30 students per course). 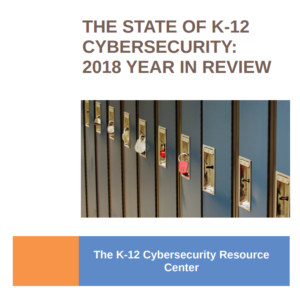 There would be 45 million fully online, full-year, high school course enrollments nationwide, or over 11 million enrollments per high school grade (9-12) per year. Total contact hours with a live in-person instructor would decline in half to 8 billion hours per year or 2 billion hours per high school grade. 250,000 fewer high school teachers would be needed to deliver live in-person instruction. One could ponder whether this necessarily means a 50 percent reduction in the numbers of teachers employed by districts, a reassignment of teacher duties, or something else. Bottom line: 45 million fully online high school course enrollments is a really, really big number. Source for quotation: Trotter, Andrew. “Online Education Cast as ‘Disruptive Innovation’.” Education Week. 5 May 2008. Didn’t the authors intend to include the growth of “blended learning” in their prediction, too? “substitution of computer-based learning for monolithic [sic] learning” (p. 99). In describing how they make their online course taking estimate, however, the authors seem to indicate they count “fully online or blended-online courses (p.98)” in their baseline. There is a distinction between computer-based courses and online-delivered courses. Computer-based instruction is instruction that is delivered digitally, not by a person – live or remote. An online-delivered courses is neutral on this point; instruction could be digital or from a teacher. Delivering courses both via digital instruction and delivered online would be our recommendation because it allows schools to realize both instructional and customizable benefits as well as economic benefits. The provider can also collect data to improve. One interpretation – that is not persuasive to me – is that the authors are making a broader point that the prediction of high school course taking disruption was intended to count enrollments in online courses (whether taught by an online instructor, self-guided, or software-guided) plus time spent by students using instructional software in lieu of any in-person teacher interaction. Key to this interpretation is the “substitution” of teacher in-person labor by digital learning software (not teacher-directed technology use, not technology-enhanced teaching, not technology integration). Source for quotation: Lagace, Martha. “How Disruptive Innovation Changes Education.” Harvard Business School: Working Knowledge. 18 August 2008. Under a blended learning scenario, what would the K-12 sector look like if we were on track for the prediction to come true? Given that blended learning is defined by the authors in terms of the amount of time instruction is substituted, let us do the same. Again, we will be conservative in our estimates (and hence biased in favor of the prediction). The school employs 50 teachers to instruct the students in each of their courses. To meet the prediction 750 students would be required to receive at least 30 percent instruction from software by 2019 (substituting for teacher labor). What would it look like if half of the schools’ students received 30% of classroom instruction from technology and not from a teacher? If each class is one hour in length, this means that 18 minutes of each class would be devoted to instruction via computer (or one 90 minute block class wholly via computer each week on average – say, e.g., “blended learning Wednesday”). This seems a more manageable bar – and clearly there is more use everyday of computers in American high schools. Yet, is it really “substitution” as defined by the authors? All of this means that the cost per student per course over the next 10 years is likely to decline by 15 percent for each doubling of volume [sic], so that the cost will be one-third of today’s costs, and the courses will be much better. Source for quotation: Christensen, Clayton, and Horn, Michael. “How to Change the Way Kids Learn.” Forbes. 24 July 2008.